There are two services to choose from for airport shuttle transfers. This airport shuttle service started in the 2016-17 season. 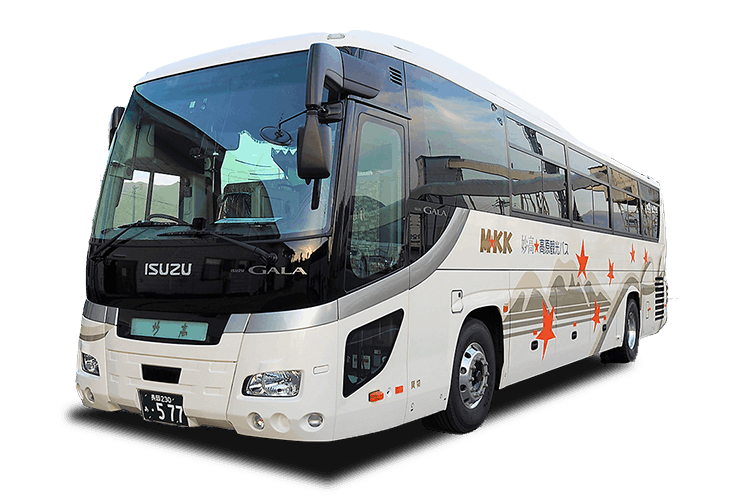 We have worked closely with MKK Tours who operate this service so we have great knowledge of their services and can help assist you in booking tickets for this shuttle. For the 2019 season they will be covering all the major airports, Narita, Haneda, Niigata and Toyama. The advantage of this service is that the bus is direct to and from Myoko Kogen with no transfer needed. They also offer a free transfer service to Madarao, Tangram and Nozawa so if you are planning on staying there you can take advantage of this free transfer service. This season the Narita & Haneda services are a return trip package that also includes a free 3 day local shuttle bus pass. Nagano Snow Shuttle have been transferring people to and from Narita and Haneda for many years and are the first dedicated airport shuttle service in the area. They are an established service and offer up to 4 buses a day which can very convenient depending on when you land. They also have daily shuttles to and from Hakuba and Nozawa Onsen. You will have to change in Nagano for the Myoko bound shuttle.